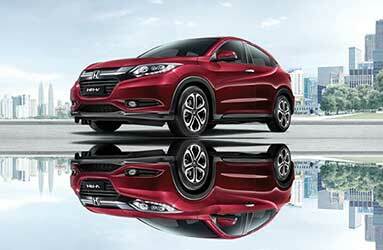 Under the Automotive Division, Kah Motor is the distributor for Honda vehicles in Singapore and Brunei and operates eight out of 97 of the Honda dealerships in Peninsular Malaysia and another dealership in Sabah. Kah Classic currently is a dealer of Mitsubishi Motor Malaysia Sdn Bhd, providing sales and services of Mitsubishi branded vehicles through two key outlets and is looking to expand its dealership network in Mitsubishi and explore into other brands. Lot 5030 (PT 1747), Kawasan Perindustrian Hicom-Pegoh, 78000, Alor Gajah, Melaka. 4449 Jalan Permatang Pauh, Mak Mandin, 13400 Butterworth, Penang. Armstrong Component Parts (Vietnam) Co., Ltd.
Armstrong Trading & Supplies Sdn. Bhd. Happy Motoring Co. Sdn. Bhd. Kah Bintang Auto Sdn. Bhd. Kah Classic Auto Sdn. Bhd. 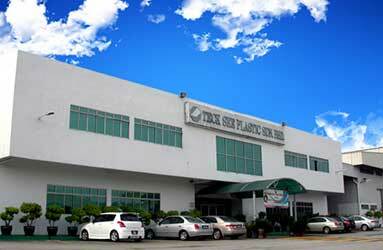 The Plastic Division is headed by its 60% subsidiary, Teck See Plastic (“TSP”), one of the oldest auto parts manufacturing companies in Malaysia. It started a JV with Hicom since 1980s, to supply plastic molding to Proton and is one of the dominant players in the business. With the ongoing JV with Kasai Kogyo Japan, TSP Group is keen to expand into other related integrated services. No. 4, Jalan Pasak 15/8, Off Jalan Utas, 40200 Shah Alam, Selangor Darul Ehsan, Malaysia. Compounding & Colouring Sdn. Bhd. Lipro Mold Engineering Sdn. Bhd. Oriental Industries (Wuxi) Co., Ltd.
Oriental Nichinan Design Engineering Sdn. Bhd. Oriental San Industries Sdn. Bhd. The Hotels and Resorts Division currently owns 10 hotels, four of which are in Australia, two in New Zealand and one each in Malaysia, Singapore, Thailand and United Kingdom. The division will continue to acquire excellent properties to expand its hospitality operations and is keen to expand its business globally when the opportunity arises. 256/9, Sukhumvit 16, Klong Toey, Bangkok, Thailand. Park Suanplu Holdings Co. Ltd.
39 Soi Suanplu, South Sathorn Road, Sathorn, Bangkok, Thailand. Lot 1, 2nd Floor, Wisma Siamloh, Jalan Kemajuan, 87007 Federal Territory of Labuan, Malaysia. 9 Circular Road, Douglas, Isle Of Man IM1 1AF, UK. 12 Castle Street, St Helier, Jersey JE2 3RT, UK. The Plantation Division has consistently provide a positive contribution to the Group’s performance and endeavours to contribute significantly to the Group’s performance. The division’s operations in Indonesia currently comprises two matured plantations, one maturing with 34,257 Ha planted and three Crude Palm Oil Mills in Bangka Island. A further five companies are under development with over 60,000 Ha land bank in South Sumatra. To date, over 21,400 Ha of the concession area in South Sumatra has been acquired, over 9,350 Ha has been planted and the harvesting area is now over 4,000 Ha. The division plans to plant about 1,000 to 2,000 hectares each year in the next two years. It has generated a healthy cash pile over the years and is still expanding. A fourth CPO Mill, the first for South Sumatra is targeted to be commissioned by end of 2019. 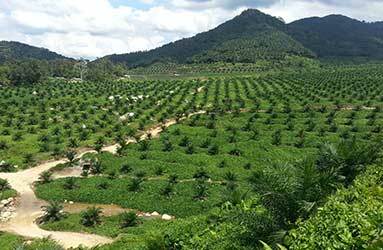 The division has a planted area of 4,825 Ha in Malaysia. The Investment Holding comprises mainly investment in subsidiaries and other investments for recurring income. OAM Asia (Singapore) Pte. Ltd.
Kwong Wah Enterprise Sdn. Bhd. North Malaya Engineers Overseas Sdn. Bhd. Oriental Asia (Mauritius) Pte. Ltd.
Oriental Boon Siew (Mauritius) Pte. Ltd.
Oriental International (Mauritius) Pte. Ltd. Most of the business activities in the Investment Properties and Trading of Building Material Products Division are in the supply of building materials. 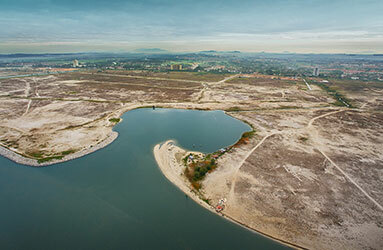 However, in 1994, Oriental was given a concession by the Melaka state government to reclaim a total of 1,125 acres in Klebang, Melaka. The Group has reclaimed 985 acres of sea off the Melaka coastline out of the concession area. Reclamation works are ongoing for the remainder of the concession area which, when completed, will provide valuable land bank for the Group. The land that acquired in Melbourne, Australia has started the construction at the end of 2017 to develop into two floors of retail and commercial spaces and five floors of serviced apartments. 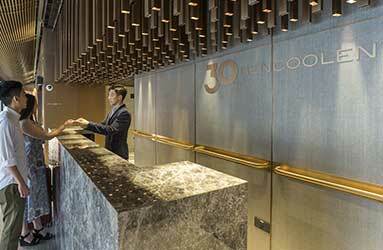 In addition, an office building at Collins Street Melbourne was acquired in 2017 that is foreseen to generate a healthy income from rental. North Malaya Engineers Trading Company Sdn. Bhd. Unique Mix (Penang) Sdn. Bhd. Oriental Boon Siew (M) Sdn. Bhd. North Malaya (Xiamen) Steel Co., Ltd. The new Healthcare Division was launched following the acquisition of a nursing college in Melaka in September 2011 and the construction of the medical hub in August 2012 on the Group’s reclaimed land at Klebang, Melaka. The Medical hub was officially launched in 2015. 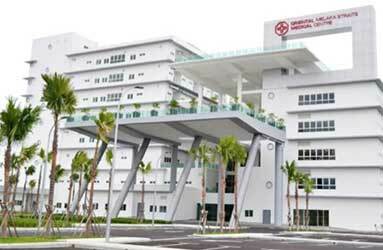 The Melaka Straits Medical Centre is a 300 bed medical hub comprising a nursing college and medical establishment. The eight levels medical unit is sited on a 25 acres of the reclaimed land at Klebang, Melaka, just a mere 10 minutes from city center. Loh Boon Siew Education Sdn. Bhd. Melaka Straits Medical Centre Sdn. Bhd.